Michigan-based writer and actor Benjamin Busch (Homicide and The Wire are among his television credits) has always been drawn to the elements. From his childhood spent exploring the fields and rivers of upstate New York to his military service in Iraq, Busch has been attracted to the transient nature of landscape and life. 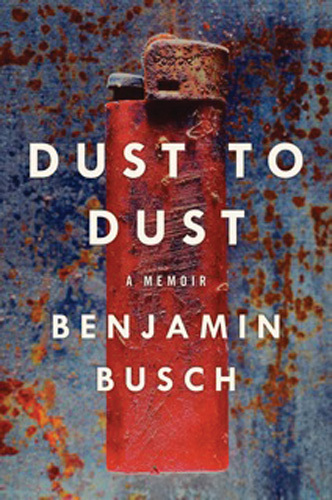 In his new memoir Dust to Dust (Ecco $26.99), Busch contemplates how water, metal, bone, and blood shape his experience and frame his existence. His boyish attraction to guns, forts, adventure, and the wilderness was avid, which often required his father to seek and retrieve him from one side of town or the other. Busch’s parents, fresh from Vietnam War protests, forbade toy weapons. But their son couldn’t resist, and the interest led to enlisting and serving two tours of combat duty in Iraq as a U.S. Marine Corps infantry officer. 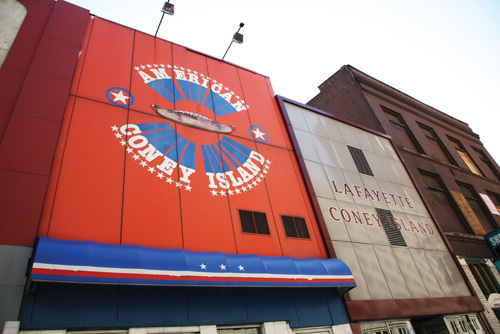 For Detroiters, the coney dog needs no introduction. Among locals, the question, American or Lafayette, requires no further explanation. But as chili-, mustard-, and onion-topped wieners gain popularity in glitzier locales (a Detroit-style coney diner opened in West Hollywood, Calif., last year), the uninitiated might require a primer in dog culture. 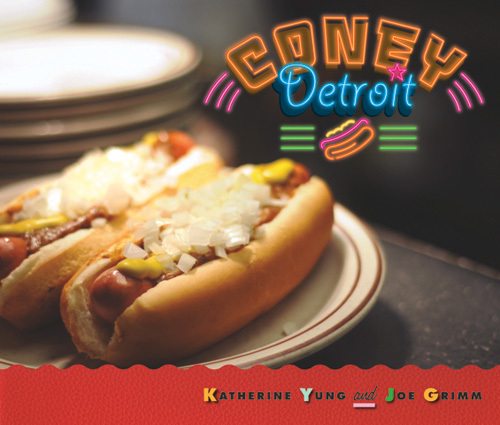 Enter Coney Detroit (Wayne State University Press, $24.95), by Katherine Yung and Joe Grimm. 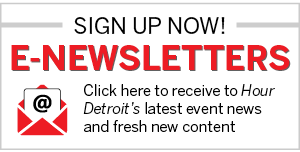 With the help of a dozen photographers, Yung, a Detroit Free Press reporter, and Grimm, an ex-staffer at the newspaper, have compiled a coney compendium documenting Michigan’s dog loyalty, from downtown’s bean-less chili dogs to Koegel wieners topped with a beef heart-based meat sauce in Flint. The book combines lore and history as it introduces readers to famous coneys around the state, along with images of the people and places that keep the tradition alive. With the book’s dog tales stretching well beyond the Motor City, the Coney Detroit title is something of a misnomer. Even the House of Doggs in Traverse City receives four pages of coverage.